Football season has kicked off, temperatures are cooling and pumpkin spice everything is for sale in the stores. Yes, fall is here. While most people associate the spring and summer months as the ideal times of year to buy or sell, fall is still a great time to put your home on the market. Chances are your yard is full of leaves in the fall. But because temperatures are cooler and the days are shorter, fall is also a time of the year when your lawn looks its greenest and most lush. Make sure your leaves are cleaned up to show off the true potential of your yard (not to mention create the impression that your home is well maintained and cared for). Rake daily if you have to. If you don’t like raking, set the lawn mower to a low setting and bag the mulched leaves. 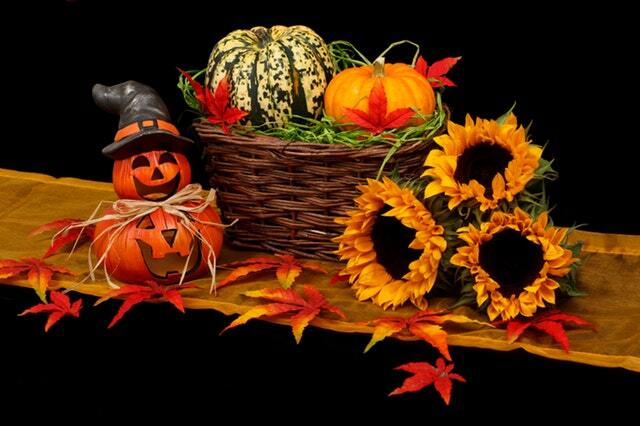 Buy some mums, a haystack and perhaps even some pumpkins or gourds to decorate your home with. These are perfect fall decor and can really help make your home stand out to potential buyers. The days are shorter in the fall, which means that the natural light inside of your home may be waning during show times. That said, make sure all of the lights in the home are turned on prior to showings to create a well-lit, welcoming environment. With the nights getting cooler, fall is the perfect time of the year to start up the fireplace. If you have a gas fireplace, make sure that this is mentioned in the listing. Also make sure that the fireplace is clean and looks inviting in case the buyer wants to turn it on. If you have a natural fireplace, don’t fret. Even if you don’t use it, make sure that it’s cleaned out and looks ready to use. In addition to making sure your yard is leaf-free, make sure that your gutters are also clean. You don’t want to give buyers the impression that your home isn’t well cared for. Plus, gutters overflowing with leaves can make the buyer think that the home requires excessive maintenance, which can be a turn off. While preparing to sell your home, don’t forget to plan ahead for your new home. Contact your trusted mortgage professional to get your pre-approval and financing in order.